We sell gold, silver, platinum, diamonds, sapphires, ruby, emerald, amethyst, aquamarine, blue topaz, citrine,coral, cultured pearl, opal, peridot, onyx, turquoise, tourmaline, rings, bracelets, necklaces, earrings, pendants, pins, chains, etc. Our G.I.A. 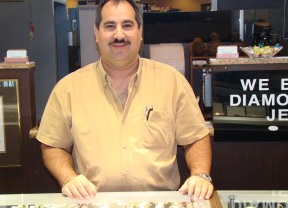 Graduate Gemologist, Scott Schafer, will pay highest prices for your old gold, diamond and gemstone jewelry or provide you with a professional appraisal. WE HAVE 100% POSITIVE FEEDBACK AND WE GUARANTEE YOUR SATISFACTION!